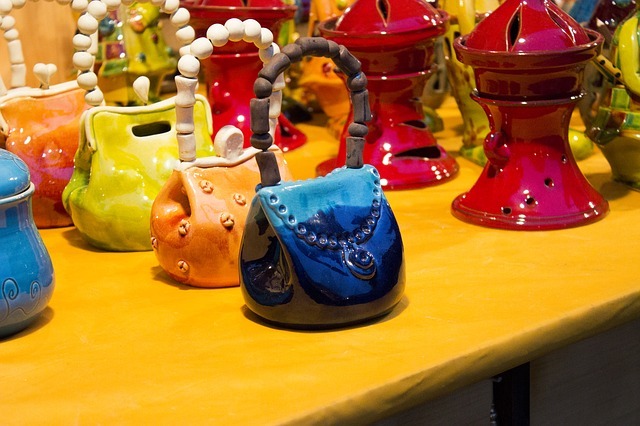 Is it a purse, a bag, or a pocketbook to you? Please tell me no one answered pocketbook. I think that was my grandma talking. And while I’m asking, are you a big bag girl or a small bag girl? Or even a teeny tiny bag girl? Is it weird to say bag and girl together like that? I use bag and purse interchangeably and I definitely lean to the big side. There’s just so much stuff that I need. One of the comments I get a lot from other women – who are definitely not big bag girls – is “how can you find anything in there?’. I know that ADD Women in general have issues finding things in there purse. But not me. Cause I have a system. Today I am going to share my system with you as well as some ideas from some of my friends. Even if they are little bag girls. First, most purses these days come with a variety of compartments. I try to make as much use of those as I can, giving each one a designated job. Here is how I do that. My keys always get dropped straight down the side of what I consider the front of my bag. Note: it’s actually the side, but since it faces forward when I carry it, it becomes the front. If it zips shut, that’s right where the zipper begins to open. If it snaps shut or doesn’t really close at all, I designate a side by hanging a cute charm on the handle on that side. Then I know where to reach for my keys. My current bag zips up so my keys get dropped straight down from the zipper. This purse also happens to come with a charm attached; you can kind of see it in the lower right hand corner. I chose not to use that as a marker for my keys because I would have to unzip the bag entirely to get them. Some of my friends use a stretchy keychain holder that clips right on to your purse. You really can’t lose them that way. If there is a big enough pocket on the outside, I store my phone there. Otherwise, it goes in the pocket on the inside. I have kind of mixed feelings about leaving my phone so accessible on the outside of my purse, so the pocket needs to be really big. 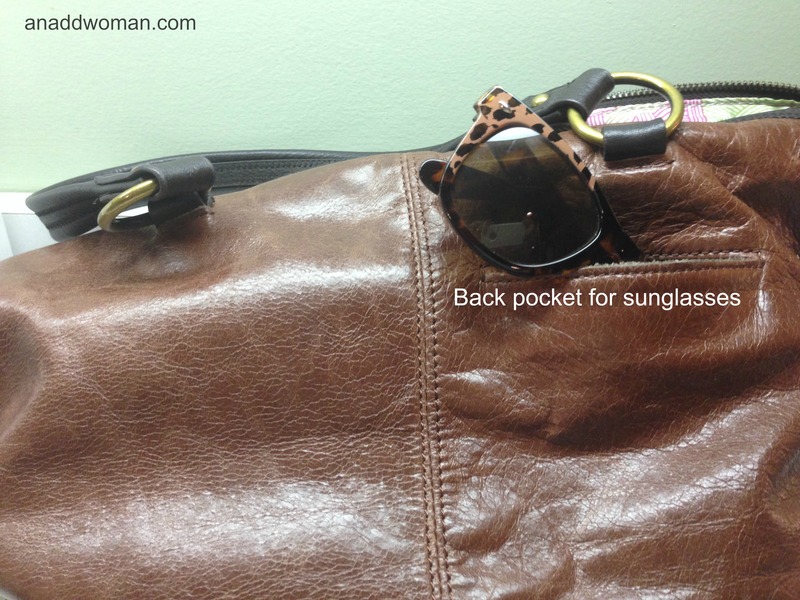 My sunglasses are usually near my phone, either in the next pocket or the opposite one. Of course, it all depends on the bag. With this one, my phone is in an inside pocket and my sunglasses are in the coolest little pocket ever. So easy to pull out and put back! And finally, after much experimentation, I purchased what I guess is called a card case to use as my wallet. It’s just a little bit bigger than the average credit card and holds quite a few of them. There are dividers and it zips shut. In the rare event that I am carrying cash, it goes in there as well. Everything else in my purse gets the zippered bag treatment. Some of my friends use those purse organizer things that just go from one bag to another without doing much more than lifting it out of one and putting it in the other. I find cute ones whenever I’m out and use them to store things like makeup, health related products, and office type things. Because they are all different, it’s easy to tell what is in each one. 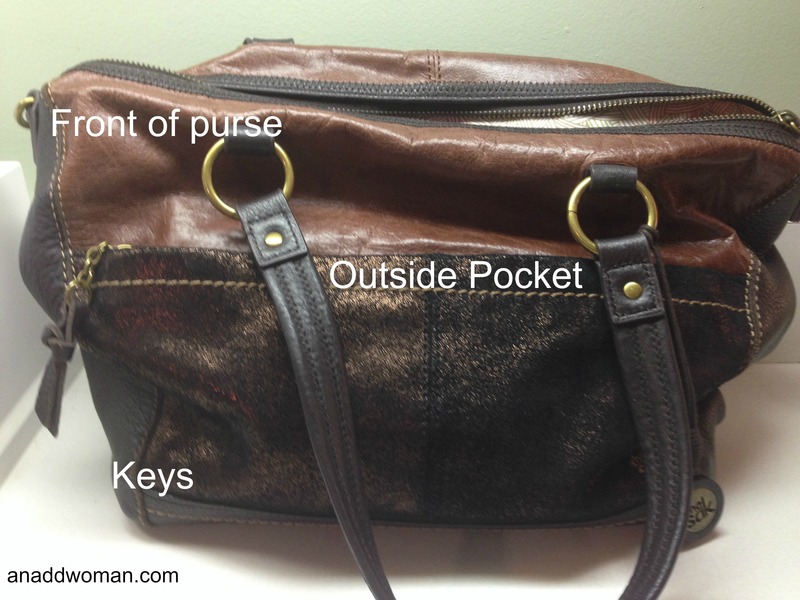 I also put any pockets in the purse to use and eliminate a bag or two when I can. In this purse, there is an outside zippered pocket and an inside one plus two pouches, one of which holds my phone. The outside pocket, seen in the first picture, holds “emergency” kinds of things: tissue, hand sanitizer, bandaids, and cough drops. The inside zippered pocket (not shown) holds practical things like a pen, a glue stick (I can’t lick envelopes), a nail file, and a small bottle of ibuprofen. As I mentioned earlier, my “wallet” is a credit card sized case, pictured below, and I use a cute little blue bag to hold things like lip balm, hand cream, roll on perfume, and a small bottle of hair spray. The point of all this is that everything has a place and is contained. 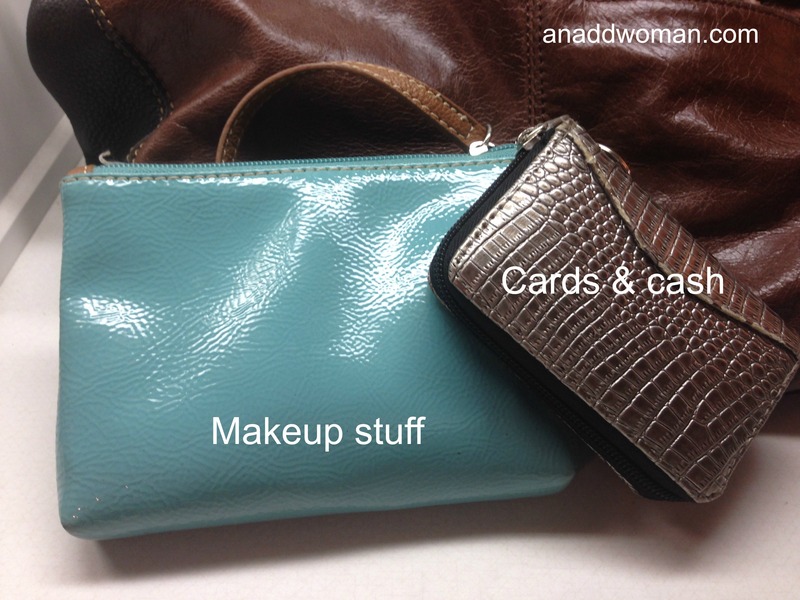 You organize your purse the same way you organize a drawer or closet. What does your purse look like? « Clean Any Room in Five Minutes. Really?